Photographing this children's party was so fun. 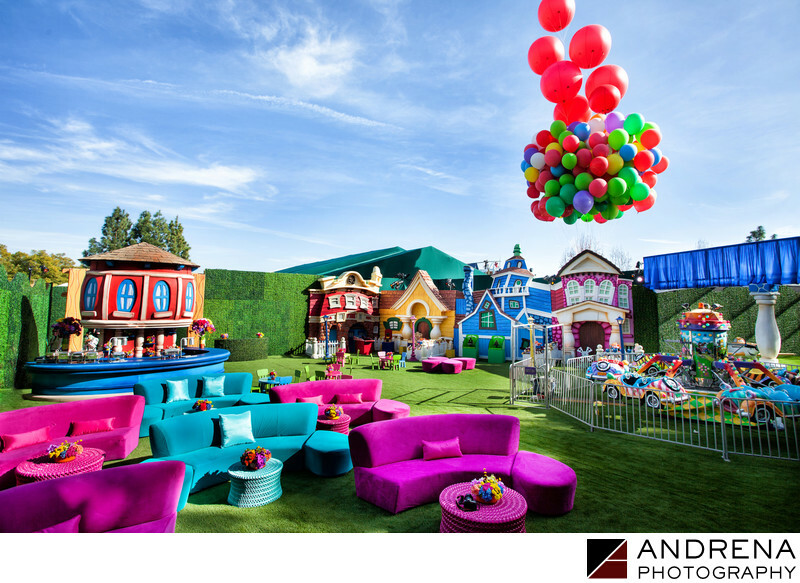 It had a Toontown theme, complete with custom Toontown structures, carnival rides, a Disney princess salon (and an astronaut salon for the boys), and performances galore (magicians, a dog show, music and muppet performances, and other great entertainment). The balloons were patterned after the movie "Up," and guests were able to take rides in the balloons (just up a few feet, but enough for a fun photo opp).